Image: File:Jean-Philippe Béland – Sommets du cinéma d’animation 2017.jpg, Lea-Kim Châteauneuf, CC BY-SA 4.0, via Wikimedia Commons. Jean-Philippe (User:Amqui) has been a Wikipedian since 2006. He has improved and created many articles on French-language Wikimedia projects as well as the English Wikipedia, including writing several featured articles for Wikipedia and Wikivoyage. In fact, he has created over 1,900 articles on the French Wikipedia alone. Currently, he is working in the Wikiversity to develop language resources, through a portal that he created called Wikilang. Within Wikilang he is focusing his efforts on endangered and less-popularly spoken languages. He is also involved in a project with the Atikamekw First Nation in Quebec, Canada that saw the creation of the Wikipetcia Atikamekw Nehiromowin, a brand new Wikipedia in the Atikamekw language. 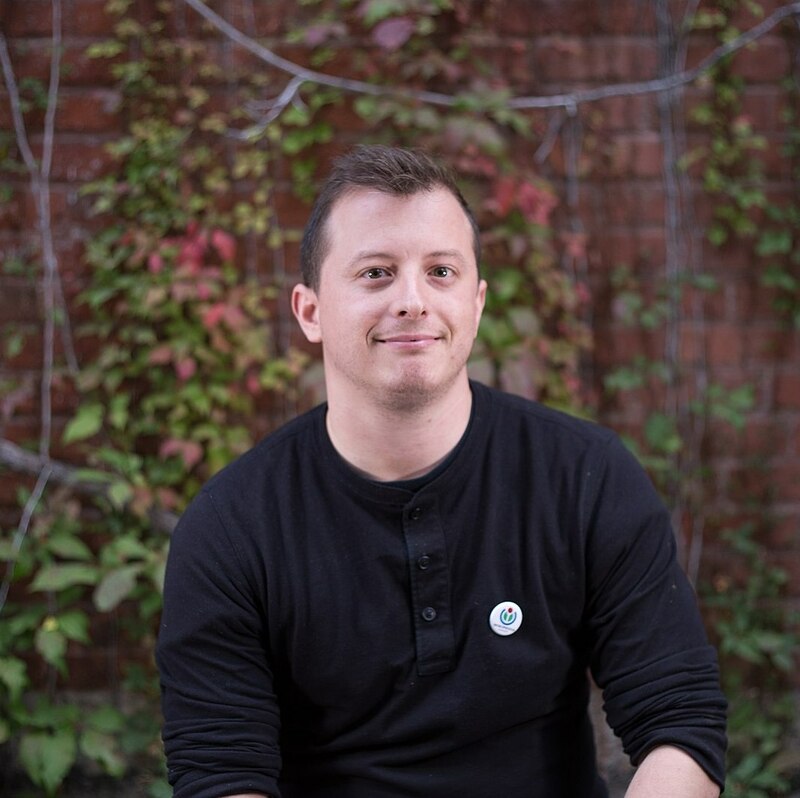 Since 2016, he is serving as the Vice President of Wikimedia Canada. Jean-Philippe is excited to be partnering with Rutgers University, the State University of New Jersey, to advance his work with endangered languages and take advantage of Rutgers’ vast resources. This partnership is possible through Rutgers’ Department of African, Middle Eastern, and South Asian Languages and Literatures. The Department provides instruction around a diverse set of languages such as Akan (Twi), Arabic, Hebrew, Hindi, Persian, Sanskrit, Swahili, and Turkish. In addition to department resources, Jean-Philippe will also gain access to Rutgers Library collection of 700,000 ebooks, hundreds of databases, and specialized archives. One such collection is the Research Library of Beth Mardutho: The Syriac Institute, which is a Rutgers affiliate. Beth Mardutho promotes Syriac heritage and language, providing access to relevant resources in Syriac, Arabic, English, French, German, Greek, and Latin, as well as less common languages like Aramaic, Armenian, Coptic, Malayalam, and Turkish. We are excited for this match between Jean and Rutgers and look forward to all of the new content! If you’re a Wikipedian interested in participating in our Visiting Scholars program, please view our application here. For more information about the Visiting Scholars program in general, or to learn how you can get involved as a sponsor, see the Visiting Scholars section of our website. Image: File:New Jersey Hall, Rutgers University, east view.jpg, Zeete, CC BY-SA 3.0, via Wikimedia Commons.